Server virtualisation is essentially about improving server resource allocation and management, making it more efficient by reducing the number of servers needed and making sure their optimal processing power is fully utilised. The term describes the ability to host complete operating system 'images' (including or excluding a kernel on a single hardware platform – typically creating a Virtual Private Server (VPS) or a Virtual Dedicated Server (VDS). Trigence's online glossary of terms explains: "The way that the operating system (OS) interacts with the hardware platform is modified so that multiple OS instances can share the underlying hardware platform. Server virtualization is often used to consolidate multiple smaller (or older) servers onto a single, large server, without changing how the applications or OS is managed." So is server virtualisation new? Sun Microsystems' Laurence James, Data Centre Efficiency Marketing Manager, says that the hypervisor has been around for "Donkey's years". Contrary to most people's impressions it has been around since the 1960s when it was first developed, and IBM came out with the first one in the 1970s. VMWare - which is typically thought of as being the original force behind the beginnings of server virtualisation - took the concept a step further to become the market leader. To begin with the firm layered it onto an Intel X86 platform, but the process platforms' instruction sets"didn't lend themselves to virtualisation until specific processors were introduced to ensure the maintenance of integrity", he says. VMWare was essentially the company to develop the market, to get us talking about virtualisation today in all of its various flavours (e.g. desktop, storage, and operating system). As the first key entrant into the market Going Virtual to Improve Server Efficiency it managed to do what others hadn't quite achieved by solving these initial issues. Eventually new players like Citrix, Virtual Iron and others joined them. In fact the market is continuing to grow and Fredrik Sjostedt, VMWare's Director of EMEA Product Marketing, says that it is now worth $1bn in Europe. 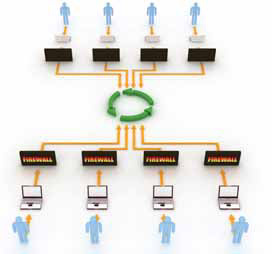 The firm's server virtualisation solutions are used by about 90% of the FTSE 100 and FTSE Global 100 companies. It very much dominates the market, and it is expected to maintain its market position in spite of increased competition from the likes of Microsoft. We'll take a closer look at the market later on in this article. "Server virtualisation has probably never been more relevant with a history that goes back to the days of the IBM mainframes", says Neil Sanderson, Microsoft, UK Product Manager for Virtualisation and Management Technology who adds that it is " Currently hitting mass adoption when organisations are more challenged than they have ever been." companies are often unable to afford to buy the necessary in- house skills and know-how to manage virtualised IT infrastructures. So in this case it would make sense to hire an expert; a company that offers secure data centre services. They can then gain some peace of mind, knowing that their IT will be constantly managed, monitored and maintained by professionals with all of the required competencies, knowledge and experience required to keep them in business. In turn they are able to focus on their own core commercial competencies. But how do they gain access to their own software applications? One option would be to use the software-as-a-server (SaaS) model, whereby a connection is created to the data centre using a virtual private network (VPN). In contrast larger medium-sized and enterprise class organisations may elect to use a hybrid model. What does that mean? It means that they might want to have some aspects of their IT, like server virtualisation, managed by and outsourced to a data centre while keeping a certain amount of it in-house. These are challenging times, particularly as many projects are being put on hold, and IT managers have to increasingly justify their IT expenditure. Why invest in server virtualisation? Fredrik Sjostedt explains: "We have found that 70% of an organisation's IT budget is used to maintain your current operation. So you will have less for new initiatives, but if you can improve the amount of budget available, say through server virtualisation, you have more new initiatives. So that's key area for IT managers to contend with, especially when you are operating in a challenging market." "Organisations have been buying an increasing number of servers within the data centre and there has been a significant increase in the amount of computing power within each one, but only about 15-20% of capacity is traditionally utilised", says Sjostedt. It also costs money to run large data centres, but this can be rationalised with server virtualisation. What do I mean? Well server consolidation is one of the key drivers for investing in this technology. As an organisation you can reduce the number of machines you run to manage your IT infrastructure. You might have 15 physical servers for example, but by virtualising them you'll only need one. So organisations can save money; the virtualised servers can make the whole thing more efficient while optimising computing capacity per machine. Virtual machines can be deployed rapidly too. With increased fuel and energy costs having an impact on most organisations today, and concerns about the environment, you can economise further too. How? By having fewer servers within the data centre, for example, you will use less power to keep them running and that in turn is as good for the environment as it is for your companies purse and image. "The cost of managing the IT infrastructure is being pushed into the data centre", comments Laurence James. Therefore many companies are on what he calls the 'data centre consolidation trail', aiming to increase cost-efficiencies by doing more with less hardware. Sun Microsystems has been practising what it preaches, and passes this on to its customers. The company has gone down the server consolidation route, reducing 3,000 square feet of computing hardware down to just five racks. That's a massive 80% reduction! In terms of power usage this means they are using 50% less power to keep the data centre running than there were previously. The company is part of the Green Grid Consortium, which has developed Power Effectiveness Figure to establish a benchmark. The industry standard is apparently 2.5:1 servers, but Sun has managed to reduce its power usage to just 1.8:1 servers. On each server you can have 250 operating system 'images' on one server. All of this is great but James stresses that the successful implementation of server virtualisation requires cultural change. If you're considering it your IT team might also need to adopt new skills. Firms are often virtualising at a point where a 'server refresh' comes up, and server virtualisation's cost effectiveness and the clear return on investment (ROI) derived from it provide them with the perfect excuse to get rid of any old hardware. The savings come in the form of reduce operational and capital expenditure benefits. VMWare believes you can gain back your initial investment within a six to nine month period. Thelifetime operating costs are much less than when related to the ongoing operation of traditional hardware, while also giving organisations the ability to become more and more agile and maintaining high levels of server uptime. The second most important driver is disaster recovery. Businesses are increasingly reliant on IT to run their organisations, and without access to their data they might not be able to operate. Effectively data and processes must be protected to ensure business continuity. It is important to have processes in place, no matter how your staff are working - whether mobile or from a desktop - to ensure their data is protected as much as possible. It becomes even more crucial within a virtualised environment, where the data is consolidated onto fewer machines. However, there are some very good tools available on the market for automating back-ups and reducing the amount of maintenance downtime. VMWare's vMotion allows IT teams to move data from one virtual machine to another, and without causing any disruption to service. Microsoft has a similar tool, called Quick Migration. They remove what is called the 'the single point of failure', ensuring that an organisation's staff can keep working without even realising what's happening in the IT back office. Tools like these save time. Let's take vMotion as an example. There is no need to shut down a server in order to carry out any maintenance of any kind. You just simply move the data over from one server to another one. Server virtualisation allows you to mix and match hardware within a virtualised infrastructure. So you can use any of the server virtualisation vendors' solutions within your company. In spite of their competitive positions, many vendors are now working with each other. This should increase the interoperability; and match-making possibilities of each system, but some software applications work better than others when it comes to server virtualisation. For this reason it is essential for companies to review their business processes and test this technology before putting into production. Particular vendors' technologies may suit one organisation better than the others do, and if you don't have the know-how it might be worth thinking about working in partnership with one of the vendors, an independent consultancy or one of their partners. There are a range of different predictions about how the market is going to grow, but the outlook for the server virtualisation market is promising. The very fact that server virtualisation can save organisations much needed finance during the current 'recession' or 'downturn' makes it one of the areas where spending on IT could continue to increase. Sales cycles (the period it takes to complete a sale) have dropped from the average of six months - depending on the size and type of the project - to 3-4 months within the sales channel during the last financial quarter of 2008. Jason Evans - CEO of Response Data Communications - describes it as though people were asleep, and are perhaps just waking up to the benefits of server virtualisation as they become more aware of what it can do for their organisations. VMWare expects the market to grow by at least 35-40%. The company reports 42% year-on-year growth, with the EMEA region growing by 48%. The US is a bigger market than EMEA, but the European market is accelerating. Yet to due redundancies the skills required to implement server virtualisation projects are still lacking (which means that some complicated projects take 18 months to implement). Furthermore, sales cycles can be affected by the fact that 'server refreshes' usually occur every 3 years on average. "The market for server virtualisation should grow by up to 45% in the next 12 months", says Neil Sanderson who adds, "…that's the percentage of servers that will be virtualised. Server virtualisation is becoming part of the IT infrastructure, and not a separate technology." With this in mind James thinks that the open source sector will achieve 60% growth over the next five years. However, others such as Evans predict much higher growth - ranging up to 200% for server virtualisation and up 60% for storage and desktop virtualisation. Peter Davis, CEO of JAD Logic cautiously explains his forecast: "I think we will see on multiple server sites 80% of them using virtualisation. We might even see 90% of them, and it will be inevitable. It's interesting isn't it? What we have seen is a huge swing towards notebooks. 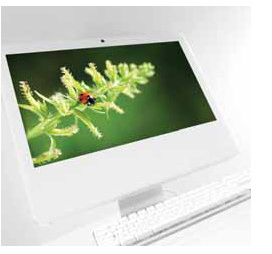 We are seeing virtualised desktops; the type of devices we will use are going to be converged. The mobile phone is going to be a huge driver as is VOIP technology." In general organisations have to become more astute about what they spend and how they do things in 2009, which is very much seen as a year where people have to focus on survival. Server virtualisation can help them to achieve this aim and more – to become more competitive than their rivals. But some might want to wait, SMEs in particular, to see how the technology plays out in the large organisations, and make decisions based on tried and tested technologies. That's where VMWare will continue to win, but Microsoft's Hyper-V - which comes free with release 2 of Windows Server 2008 - might still be the preferred option for smaller firms. Larger firms might also opt for it, but they would no doubt seek the increased functionality of the enterprise version. All of the players, including VMWare, offer a similar free option though. In fact Microsoft's entry into the market is going to increase competition. Broadly speaking this is welcomed, and even by VMWare, as it will shake-up pricing and give customers more choice. VMWare's market share might fall slightly, but it isn't worried about this. At the moment those who know about the firm like the brand name and what it stands for, but they don't like it's pricing - which is significantly higher than the cost of the alternative solutions offered by Microsoft, Virtual Iron and Citrix. "Customers will be where the freeware reigns", says Davis while adding that there will be increased interest in the "fringe players, providing more choice." What Microsoft's entry does most is to raise awareness of server virtualisation. However, the stability of Microsoft's Hyper-V is questioned by many people within the market. As regards the criticisms of Hyper-V, Sanderson says: "Customers will make their own decision, but what we are offering is very attractive. I am not aware of any issues around stability at all, but Hyper-V wasn't released as early as many people would have liked and the evidence is that it is very stable. From an architecture perspective, device drivers are not part of it and we maximise stability by having made it part of the server operating system." In spite of the criticisms levelled against Hyper-V, Microsoft represents the main threat to VMWare's dominance - for one there's the power of the better-known Microsoft brand. VMWare is generally not so well known as a household name. Microsoft's licensing arrangements are becoming friendlier to server virtualisation too. With Microsoft teaming up with other vendors like RedHat, although VMWare and Microsoft also have a relationship, competition is going to become more fierce, though the general consensus is that there is room for more market players. With a shift towards offering freeware, companies like JAD Logic and the vendors themselves will become increasingly dependent on making money by offering value-added services. Peter Davis explains: "I would imagine that we will see 65% of our revenues will come from highly specialised services. The hardware will become cheaper and cheaper, and so it gets to a point where there is no margin to be made... business opportunities will come from customers who take complicated products, hiring the likes of us to make them work." Cloud computing is a strange term, but it's an important development in the IT market. The cloud is going to deliver the IT infrastructure needed for virtualisation projects, whether they be server, storage or desktop, believes Jason Evans. He describes cloud computing as "a phenomenal idea, but everybody including the dog are claiming to deliver it, and there are many definitions of what it means which is causing confusion." Peter Davis asks: "Does the growth of cloud computing hinder or put forward server virtualisation?" He doesn't think that it will have an impact on server virtualisation, but what is very clear is that the market for virtualisation technologies will continue to grow at a double digit rate as many more companies become aware of its significant benefits. Competition? The battle has just begun, but it would take a really hard knock to push VMWare off its market-leading perch in the server virtualisation market. On the whole the technology's future is promising. To help you to get beyond the jargon of server virtualisation terminology, look up. 'Hyper-V Terminology: Microsoft's Virtualisation Lexicon'. "It refers to the use of Internet ("cloud") based computer technology for a variety of services. It is a style of computing in which dynamically scalable and often virtualised resources are provided as a service over the Internet. Users need not have knowledge of, expertise in, or control over the technology infrastructure "in the cloud" that supports them." Warwickshire Education Authority has benefited from server virtualisation by cutting out half a day per fortnight and reducing technician time. Teachers and support staff are more willing to evaluate the new applications and it does not cause the disruption that it used to do, so there's a faster pace. Deployment is quicker and cheaper. Dundee Council has spent £155,000 on deploying applications out to its staff. There's subsequently a 40% increase in productivity of its homeworkers. Perth and Kinross Council saved £ 100k in the first year through virtualisation. The council has rationalised its servers from 111 down to just 17. It took out 150 tonnes of CO2 emissions per year. So it is a very fast ROI project for organisations, and they see direct cost reductions while seeing a greater responsiveness to the business - being able to work more quickly. Source: Neil Sanderson, Microsoft, UK Product Manager for Virtualisation and Management Technology. What do you need to spend? "Let's say you're looking at a straight replacement of 10 servers with Direct Attached Storage. Depending on the vendor and model you could expect to pay £1500-£5000 per server giving you a total server cost of £15-50K. If you look at deploying a virtualized solution instead, you might only have to purchase 4 servers bringing the hardware cost down to £6-20K. Then you'd need the virtualisation software. Starting with ESXi that is delivered for free on a wide range of servers from the likes of Dell, HP and IBM. What you do need is the ability to manage your Virtual Infrastructure. Depending on the management capabilities you need, that will cost an average of £1500-£2000 per server. The total cost here would be roughly half that of a full physical environment. " Source: Frederik Sjostedt, Director of EMEA Product Marketing.